Knowledge is the Netherlands' most valuable export, say instructors and students at Wageningen University & Research (WUR), where half of all graduate students hail from other countries - some threatened by recurring famine. 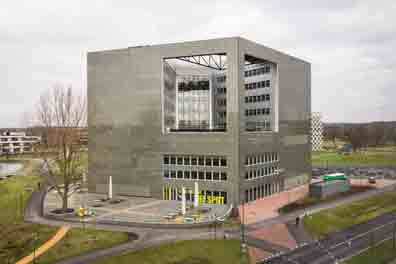 A research center of the WUR. THE BRAIN TRUST behind these astounding numbers is centered at Wageningen University & Research (WUR), located 50 miles southeast of Amsterdam. Widely regarded as the world's top agricultural research institution. 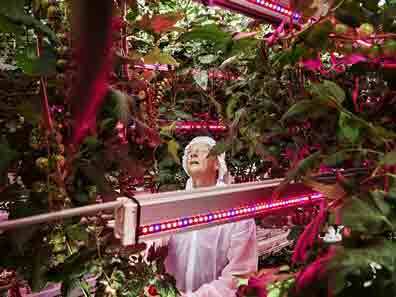 WUR is the nodal point of Food Valley, an expansive cluster of agricultural technology start-ups and experimental farms. 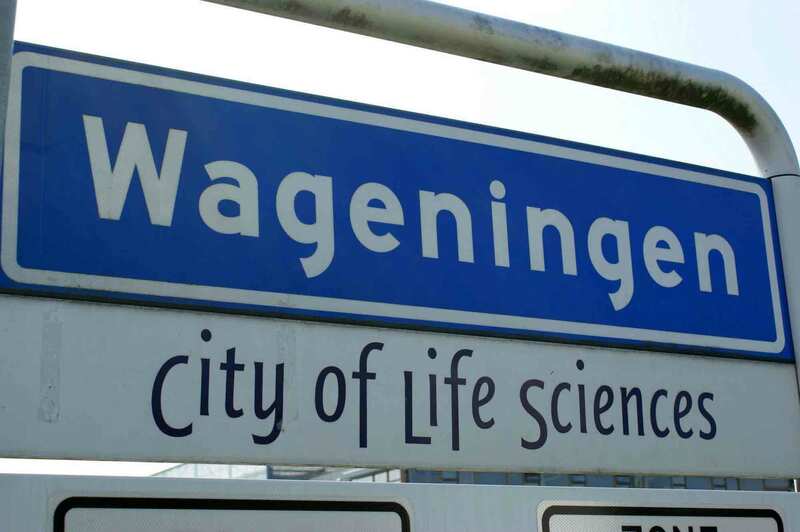 The name is a deliberate allusion to California's Silicon Valley, with Wageningen emulating the role of Stanford University in its celebrated merger of academia and entrepreneurship. Ernst van den Ende, managing director of WUR's Plant Sciences Group, embodies Food Valley's blended approach. A renowned scholar with the casual manner of a barista at a hip cafe, van den Ende is a world authority on plant pathology. But, he says, "I'm not simply a college dean. Half of me runs Plant Sciences, but the other half oversees nine separate business units involved in commercial contract research." Only that mix, "the science-driven in tandem with the market-driven," he maintains, " can meet the challenge that lies ahead." The challenge? Put in bluntly apocalyptic terms, he says, the planet must produce "more food in the next four decades than all farmers in history have harvested over the past 8,000 years." That's because by 2050, the Earth will be home to as many as 10 billion people, up from today's 7.5 billion. If massive increases in agricultural yield are not achieved, matched by massive decreases in the use of water and fossil fuels, a billion or more people may face starvation. Hunger could be the 21st century's most urgent problem, and the visionaries working in Food Valley believe they have found innovative solutions. The where-withal to stave off catastrophic famine is within reach, van den Ende insists. His optimism rests on feedback from more than a thousand WUR projects in more than 140 countries and on its formal pacts with governments and universities on six continents to share advances and implement them. A conversation with van den Ende is a white-knuckle ride on a torrent of brainstorms, statistics, and predictions. African drought? "Water isn't the fundamental problem. It's poor soil," he says. "The absence of nutrients can be offset by cultivating plants that act in symbiosis with certain bacteria to produce their own fertilizer." The soaring cost of grain to feed animals? "Feed them grasshoppers instead," he says. One hectare of land yields one metric ton of soy protein, a common livestock feed, a year. The same amount of land can produce 150 tons of insect protein. 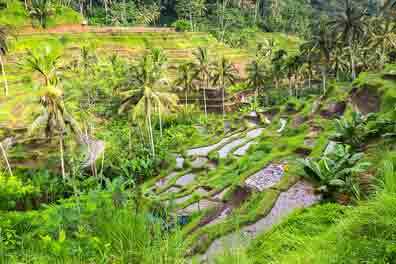 Bali's sustainable model of agriculture. "Look at the island of Bali!" he exclaims. For at least a thousand years, its farmers have raised ducks and fish within the same flooded paddies where rice is cultivated. It's an entirely self-contained food system, irrigated by intricate canal systems along mountain terraces sculpted by human hands. "There's your model of sustainability," van den Ende says.